The actor, author, and undisputed King of Social Media reflects on his fascinating personal history: his childhood and his family’s internment during World War II, his life as a gay man and activist, how far we’ve all come, and why we must press on together. Photo by Zesmerelda, via Flickr. I was born to a Buddhist family — my father was Zen and my mother was Shin, and both were rather casual about it. Before Internment all I remember of Buddhist temples are the funerals and the weddings. 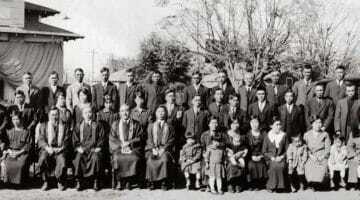 Then the Internment came. It was a very chaotic time. I don’t remember much religion except that my mother had created a tiny altar in our little barrack room. But she didn’t chant every day like my grandmother did before the war, so there wasn’t much discussion of Buddhism until we came out of camp. A volunteer from Senshin Buddhist Church would come and pick my brother, my sister, and me up and take us to the temple (although my mother belonged to Nishi Hongwanji and my father belonged to Zenshuji Temple), and there I was exposed to the teachings of Buddhism. I particularly remember Roy and Terry Nakawatase, a young, personable, actively engaged couple who were teachers of the Sunday School. I remember Roy using the metaphor of the vastness of the ocean: we are all part of it, we belong to this vast oneness, and that made a lot of sense for me—that I am really one with everybody, with the whole, and that we can play a part in making that whole healthier and more understanding. We can all bring about change. 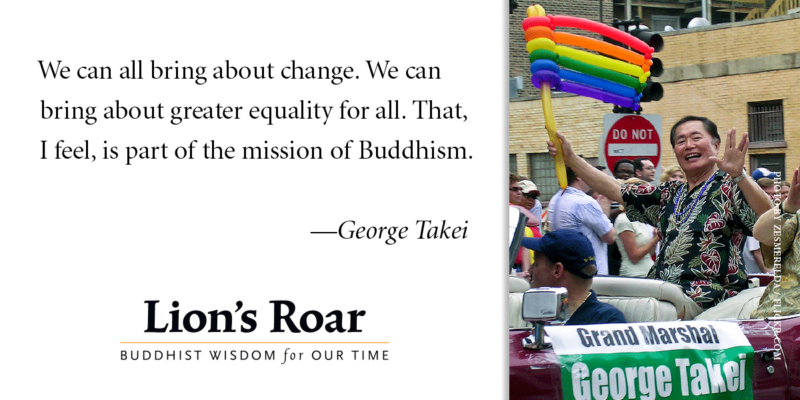 We can bring about greater equality for all, and that, I feel, is part of the mission of Buddhism. By the time I’d come out and had met my partner Brad, my father had passed. My coming out to my mother has been a little difficult for her, but only because she’d wanted me to provide her with grandchildren. She’d known Brad as my buddy from before, and she wasn’t saddled with any stereotypes of what being gay meant anyway. When she got ill with Alzheimer’s and couldn’t take care of herself, I asked Brad, “Can my mother move in with us?” and he said, “Of course.” For Brad, an understanding of oneness seemed to come easily. When the Supreme Court of the State of California ruled for marriage equality in 2008, we seized the opportunity. Having founded the Japanese American National Museum (I’m still a trustee on the Board there), we wanted to have our wedding there, in the “Democracy Forum” building. It was, after all, democracy that made our formal union possible. And Brad too had embraced Buddhism by now, so it could be a Buddhist wedding. We chose Rev. Briones of the Nishi Hongwanji Temple to be our officiant because he personifies Buddhism’s diversity, being that he’s a Mexican American Buddhist minister. Walter Koenig, who appeared on Star Trek with me, as Chekhov, is a particularly good friend so we asked him to be the best man. Nichelle Nichols, who played Uhura on Star Trek, was to be the Matron of Honor — but she didn’t like the word matron. “If Walter can be the best man,” she asked, “why can’t I be the best lady?” And so our best man was Jewish American, our best lady was African American, and our guests in the Democracy Forum were greeted by a gifted player playing traditional koto music—with a bagpipe piper leading us out onto the Museum Plaza across to the Pavilion building and the Great Hall for our wedding dinner. It was a joyous occasion, a very diverse one, and singularly a Buddhist wedding. I was a child when we were incarcerated, so I really didn’t understand it. When I became a teenager and started reading books about government, I found nothing about that period in my civics books and history books. That was completely contrary to the ideals of our democracy and so I engaged my father in long discussions after dinner. Sometimes things got very heated—I was an idealistic young teenager inspired by Dr. Martin Luther King, with many friends who were active in the Civil Rights movement. I challenged my father and said things that I’m sure were quite hurtful to him, but he accepted all that and shared with me his wisdom. He said that ours is a people’s democracy, and that it can be every bit as great as we are — but also as fallible. It is vitally dependent on good people who believe in the ideals of democracy: that all people are created equal and have inalienable rights to life, liberty, and the pursuit of happiness. Those are the people, he said, that we need to be actively engaged in our democratic process. From about age 9 or 10, I knew I was different. Other boys would huff and puff: Monica’s so hot, or, Sally’s really cute. Well, I thought Monica and Sally were nice, but it was Bobby who really got me excited. One Sunday afternoon he took me downtown to the Adlai Stevenson for President Headquarters and volunteered me. I was introduced to the electoral process and got a real understanding of how our democracy works. First of all: it’s a lot of fun. I’m a social person and loved to engage people, over the phone or on the sidewalk, in discussions about Gov. Stevenson and all the good things that he’d done. Stevenson didn’t win, but I learned another lesson: you do not give up. I got involved in a U. S. Senatorial candidate’s campaign, and then a gubernatorial candidate’s campaign. And while neither of those would be “Happy Days Are Here Again,” I got involved with the Tom Bradley for Mayor campaign in Los Angeles and the happy days came: he was a good candidate and a great mayor (the only L.A. mayor to serve five terms), and was the first African American to be mayor of Los Angeles. So that kind of exciting thing became a part of my life. I became an activist for social justice, involved in the Civil Rights campaign, the peace movement during the Vietnam War, the Redress campaign when it began to gain momentum in the ’70s. I testified at the Congressional hearings and I watched as President Reagan, on behalf of the people of the United States, formally apologized for the unconstitutional incarceration of Japanese Americans. So I was part of the workings of our electoral politics. But I was silent throughout it all about the one issue that was closest to me. I was gay. But I was a fledgling actor and it would have been career suicide for me to be “out” and so I was quiet about it. From about age 9 or 10, I knew I was different — in ways other than just my Japanese face. Other boys would huff and puff: Monica’s so hot, or, Sally’s really cute. Well, I thought Monica and Sally were nice, but it was Bobby who really got me excited. That’s not the way the other guys thought, though, and I wanted to be part of the gang. So I acted like Monica was hot and I huffed and puffed with the other guys and even started dating female friends. I’d go out on double dates with my buddy, but actually I was more interested in him than in my date! So I was living a double life in my teenage years. I felt I was the only one. When you grow older though, you see that you’re not the only one. 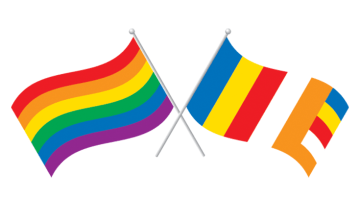 You find that you’re not so alone, that there are places where you can let your guard down, gay bars where you can relax with others who are friendly and are like you. Now, though, another idea terrorized me. I began to hear about raids on gay bars — that police would march clients out, load them up on paddy wagons, drive them down to the police station, fingerprint them, take their pictures, put their names on a list. If that was exposed, your life could be over. You could lose your job; some, even, their families. It was bullying and intimidation of the worst kind. Soon, a gay bar was no longer a place where I could let my guard down. I’d immediately look for all the exit signs so I could slip out if there was any word of a raid. By 1969, things started to change – for the nation, and for me. I had been working for three seasons on a television series called Star Trek but now we had been canceled, and I was unemployed. That same summer, all the way on the other coast, at a gay bar in New York’s Greenwich Village, there was a raid staged. The Stonewall Inn was a place where a diverse clientele gathered, young people and older gays and lesbians. There were tough, leather-wearing lesbians and drag queens alike there, and when the police raided the place this time, all the customers had already had enough. They started throwing everything that they could get their hands on at the police — cocktail glasses, beer bottles, full beer bottles, whiskey bottles. It was fierce. The police retreated and they called for reinforcements, but inside the bar phone calls were made to supporters in Greenwich Village. People came pouring out of their buildings and by the time reinforcements came, the street was filled with angry lesbians and gays. When the police tried to take control again, they were met with much more than bottles. This time it was bricks and stones and trash cans. The police had to retreat again and call for still more backup. This continued for five nights straight and marked the beginning of the Gay Liberation Movement. It was very difficult; I shared the anger my peers had. But I was still pursuing my acting career, still silent, gritting my teeth. And life continued that way for years—until in 2005 something extraordinary happened in California: Both houses of our Legislature—the Senate and the Assembly—passed the Marriage Equality bill. Massachusetts already had marriage equality but that came through the judicial route; it was the courts that granted marriage equality. Here in California, it was the people’s representatives who voted for marriage equality. All that bill needed for it to become law was the signature of our governor, Arnold Schwarzenegger, who had campaigned for office by saying, “I’m from Hollywood, I’ve worked with gays and lesbians, some of my best friends are gays and lesbians.” Some of our gay and lesbian friends bought that rhetoric and voted for him, but when the bill actually landed on Schwarzenegger’s desk, he played to the right-wing extremists of his base and vetoed it. Brad and I were both raging. It was an outrageous hypocrisy on his part to deny LGBT people equality that was passed by the people’s representatives. 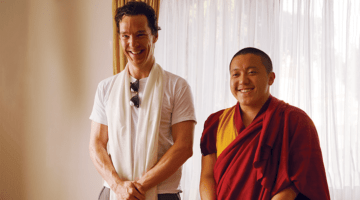 It’s an exciting time to be a Buddhist. That was when I talked to the press for the first time as a gay American and I blasted Arnold Schwarzenegger, and since then I have been out there, blasting left and right. It is amazing how far we’ve come. Change is afoot. In June 2013, the Supreme Court of the United States came down with rulings that allowed for marriage equality in states where the state government has sanctioned it. Nineteen states now have that and a number of states are awaiting appellate court decisions yet to come. And it’s an exciting time to be a Buddhist as well. There are more people discovering Buddhism, more who have chosen Buddhism and studied it deeply. As a nation I think we’ve come a long ways in sharing equality for all because when America was founded, women had no rights. They couldn’t vote, they couldn’t own property, they didn’t even have rights over their own children and yet because determined women and fair-minded men challenged and debated and marched for equality for women, today we have three women on the Supreme Court of the United States. A woman astronaut has led a team of astronauts into space. We’ve had three women who’ve served as U.S. Secretaries of State, and many agree that one of them will likely be one of our next presidential candidates, and a viable one at that. When this nation was founded, our ideals were articulated by great men, our founding fathers, but they kept other human beings as slaves. It’s because those slaves hungered for freedom and justice and they struggled for it and because their children and their grandchildren and the generations that followed maintained that struggle through the Jim Crow years and through the years of the Civil Rights movement, that today we have an African American as a President of the United States. We can all bring about change. We can bring about greater equality for all, and that, I feel, is part of the mission of Buddhism — to embrace diversity, to embrace the oneness that we all share. We’d like to offer special thanks to George and Brad Takei, Julie Yumi Hatta, and the Buddhist Churches of America for their help in producing this piece. Best known for playing Sulu on the original Star Trek TV series and six movies that followed, George Takei is unlikely social media royalty. Unofficially dubbed the King of Facebook, he counts 8.2 million fans in his online empire - including Trekkies, Howard Stern listeners, and the LGBTQ community - who devour his quirky mix of kitten jokes, Star Trek references, heartfelt messages, and sci-fi/fantasy memes. 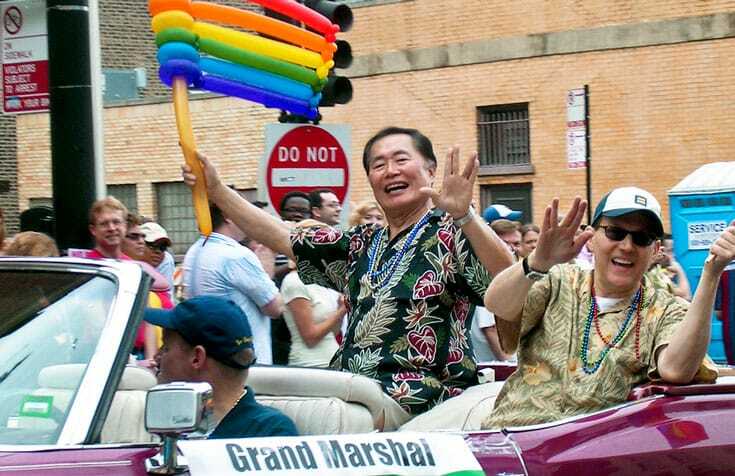 An outspoken advocate for lesbian, gay, bisexual and transgender rights, Takei has used his unmistakable baritone in several satiric PSAs, including one in response to Tennessee's infamous "Don't Say Gay" bill that encourages viewers to say, "It's OK to be Takei." His current projects include the musical Allegiance, drawn from his experience of growing up in Japanese American internment camps during World War II, and the recently published "Oh Myyy! There Goes the Internet" and "Lions and Tigers and Bears: The Internet Strikes Back."